Show off your UW diploma in our best selling frame! The gallery moulding frame is made of solid hardwood with a high-gloss cherry lacquer with a gold lip for a classic look. The museum quality matting features red and white bevel cut openings to show off your UW spirit. The shield W medallion is displayed above your diploma and "University of Wisconsin" is embossed in gold below for a balanced look. Diploma Size: The University of Wisconsin – Madison issued 6” x 8” diplomas through December of 2002. Starting in May of 2003 all diplomas issued are 8” x 10”. If you are ordering a 6” x 8” diploma frame please be advised that we do not regularly stock this size. Delivery time for the 6” x 8” frames is approximately 2-3 weeks. Overall frame measures 19″ x 17″. Display your hard work with ease using this Wisconsin diploma frame. The wooden frame features a red and white matte detailed with a drawing of Bascom Hall and "University of Wisconsin" embossed at the bottom. Frame your diploma and show off your school pride with this diploma frame. The mahogany frame features a matte with "University of Wisconsin, School of Business" embossed below a drawing of the Grainger Hall. This frame is a great way to remember all of the great times you had as a Wisconsin Badger. Diploma Size: The University of Wisconsin – Madison issued 6″ x 8″ diplomas through December of 2002. Starting in May of 2003 all diplomas issued are 8″ x 10″. If you are ordering a 6″ x 8″ diploma frame please be advised that we do not regularly stock this size. Delivery time for the 6″ x 8″ frames is approximately 2-3 weeks. Overall frame measures 15″ x 17″. Frame your diploma and show off your school pride with this diploma frame. The mahogany frame features a matte with "University of Wisconsin, College of Engineering" embossed below a drawing of the Engineering Fountain. This frame is a great way to remember all of the great times you had as a Wisconsin Badger. This frame is the perfect way to display your accomplishments from The University of Wisconsin Madison. This frame features the University of Wisconsin-Madison Lauersdorf montage above both diplomas so you can remember all of the wonderful times you had on campus. The frame features red, charcoal, and ivory matting for a classic look. Easily insert your own diplomas. Comes ready to hang. Overall frame measures 23″ x 25″. This frame is the perfect way to display your accomplishment from The University of Wisconsin Madison. This frame features the University of Wisconsin-Madison Lauersdorf montage above the diploma so you can remember all of the wonderful times you had on campus. The mahogany frame features red, charcoal, and ivory matting for a classic look. Easily insert your own diploma. Comes ready to hang. Overall frame measures 17″ X 23″. All of your hard work will be on display with this diploma frame. This frame features a medallion of Bucky Badger recessed into custom cut black and red museum-quality matting with University of Wisconsin Madison silver embossed below. It is framed in Eclipse moulding crafted of solid hardwood with a black satin finish and high-gloss inner lip. Overall frame measures 19.5″ x 17.5″. Display your diploma and show off your Wisconsin pride with this diploma frame. The classic frame features a gold emboss matte detailed with the Wisconsin Numen Lumen seal and "University of Wisconsin-Madison". The Academy moulding is simple and will look perfect in your home or office. This double mat diploma frame is the perfect way to display your degrees. The black and red museum quality matting features the Wisconsin Numen Lumen seal and "University of Wisconsin-Madison" embossed around the frames. The Gallery moulding is crafted of solid hardwood with a high gloss cherry finish and a gold inner lip making for a classic look. Overall frame measures 18″ x 25″. The Embossed edition frame features the Wisconsin Numen Lumen seal and "University of Wisconsin-Madison" embossed on the black and red museum quality matting. The frame features the Murano moulding, crafted in solid hardwood with a high-gloss cherry finish and inner gold lip making for a modern look. The perfect addition to any Wisconsin home or office! Overall frame measures 17.5″ x 15.5″. 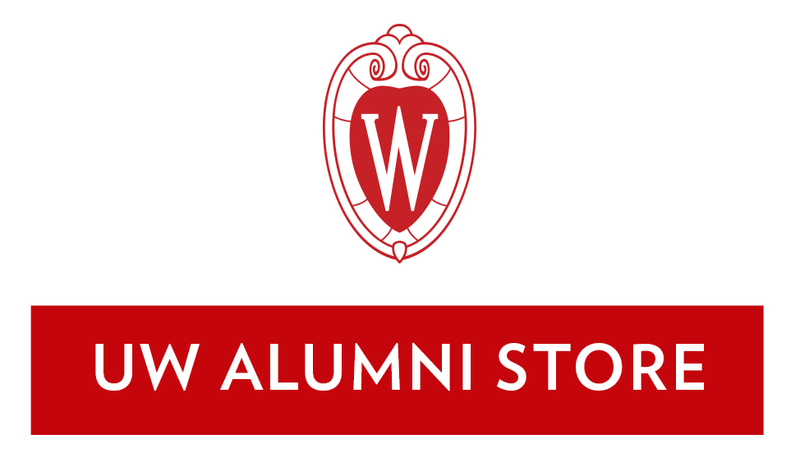 The Embossed edition frame features the Wisconsin Numen Lumen seal and "University of Wisconsin-Madison" embossed on the black and red museum quality matting. The frame features the Regency Gold moulding, crafted in solid hardwood with a mahogany furniture finish and inner gold lip making for a classic look. The perfect addition to any Wisconsin home or office! This diploma frame features a custom minted medallion of the Wisconsin Numen Lumen seal featured above the diploma recessed into double black and red museum-quality matting. "University of Wisconsin-Madison" is embossed in gold lettering under the diploma make it easy to show off your school pride at home or the office. The Kensington Gold moulding with cherry satin finish and gold beaded detail makes for a classic look. Overall frame measures 18.5″ x 16.5″.